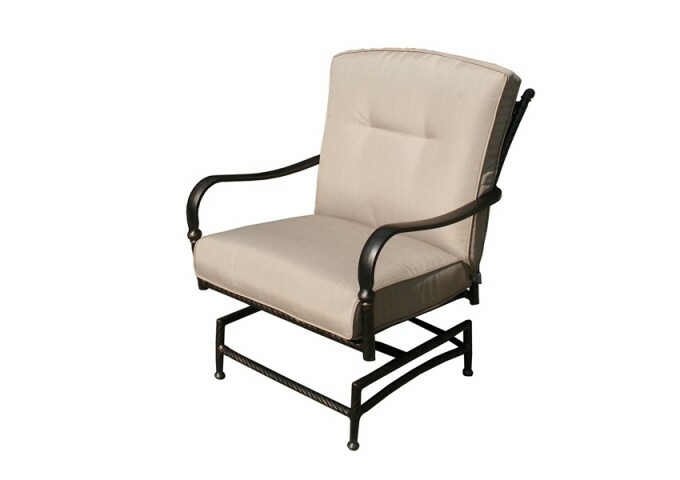 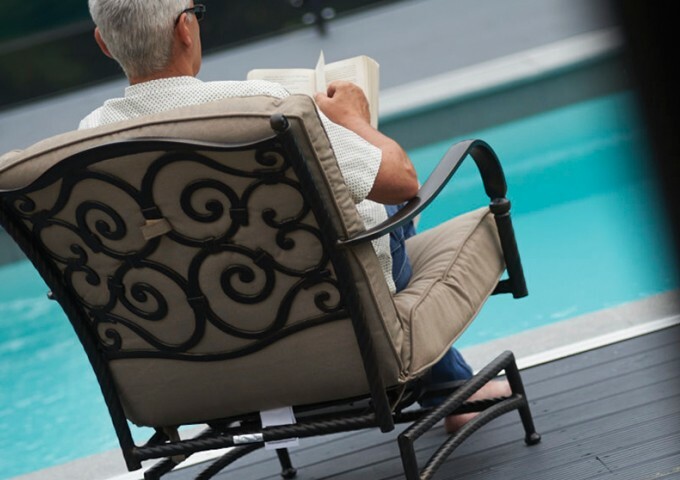 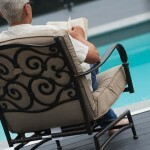 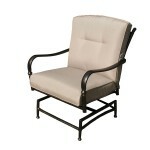 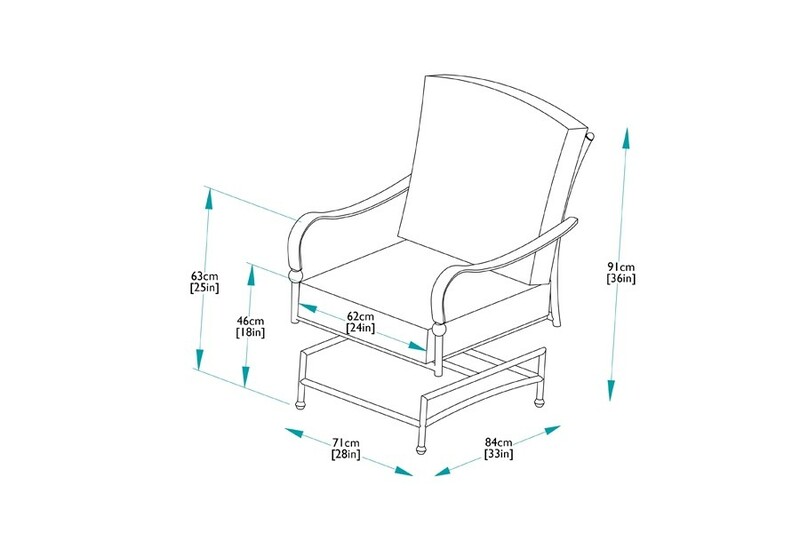 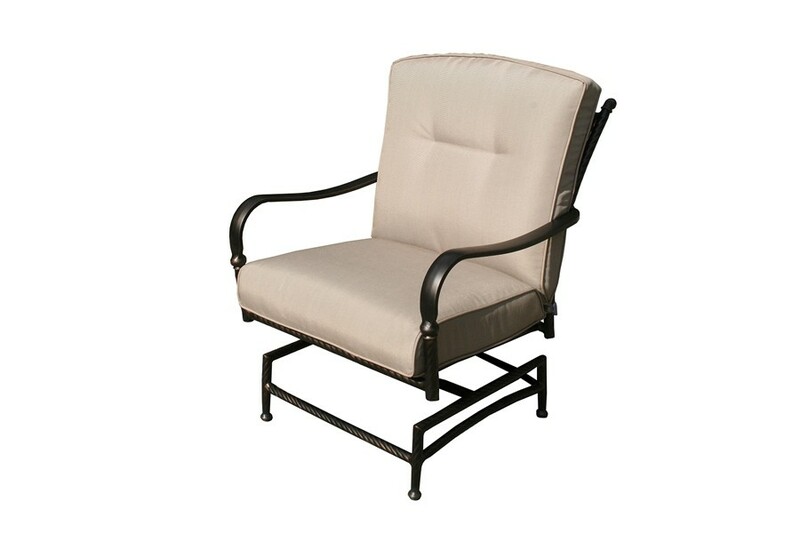 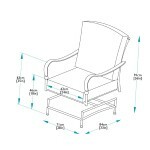 The Sorrento rocking lounge armchair is an incredibly comfortable chair to spend time on in the garden or conservatory. 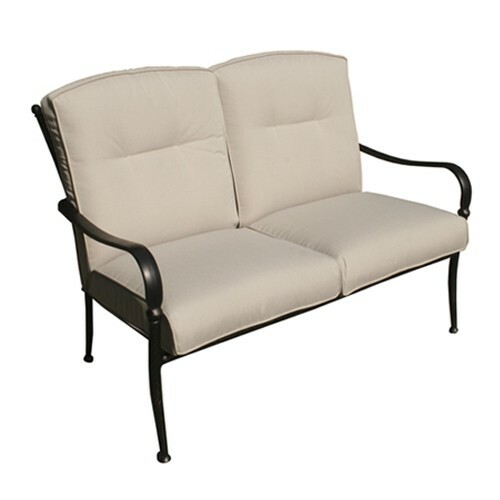 The deep sumptuous cushions and the gentle rocking motion are the ideal combination for total relaxation. 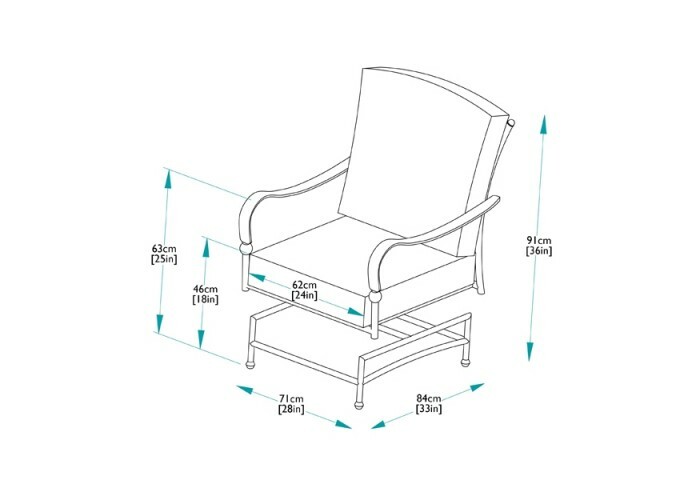 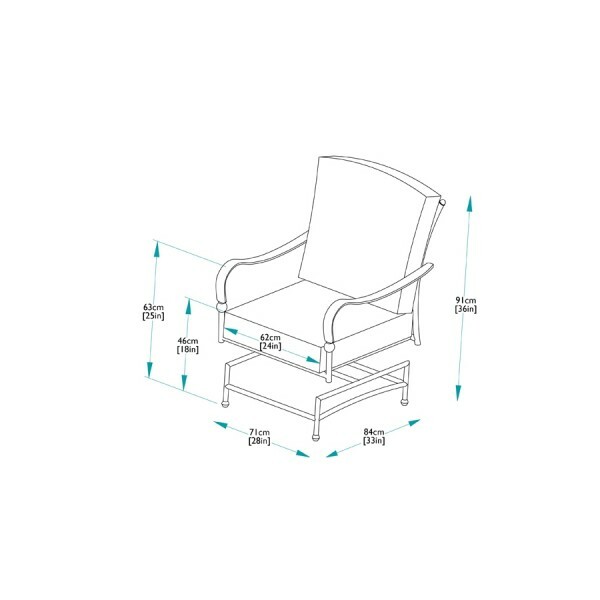 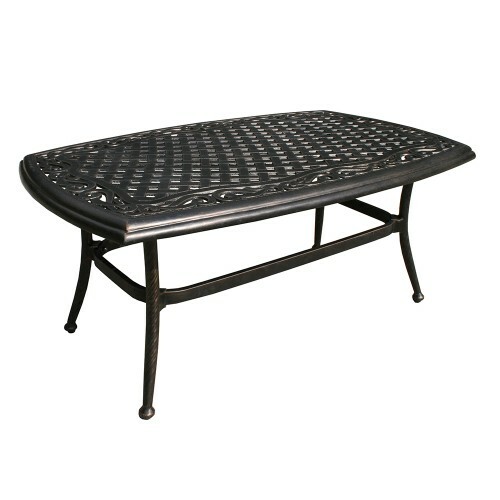 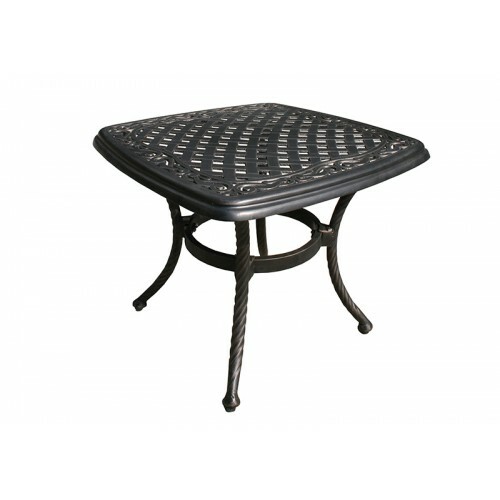 Made with an aluminium frame and an attractive cast aluminium back, this substantial piece of outdoor furniture is lightweight, strong and durable. 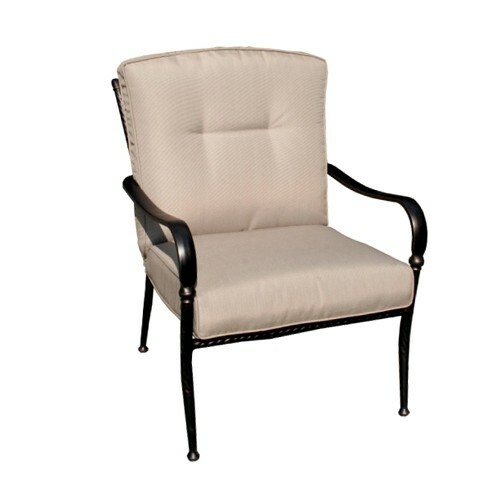 The aluminium is finished in an antique bronze colour, with a small amount of gold antiquing along the edges, which gives the furniture a smooth elegant appearance.